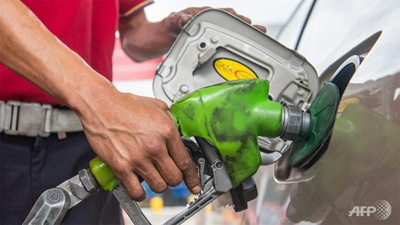 Oil prices dropped on Monday (Nov 2) after data showed China's manufacturing output continued to contract and Russian oil production hit a new record high. The weakening outlook for demand in China, the world's largest energy consumer, and the increased Russian production added to worries about the global oil oversupply that have pushed prices lower by more than 50 percent since mid-2014. After three straight sessions of gains last week, US benchmark West Texas Intermediate for December closed at US$46.14 a barrel on the New York Mercantile Exchange, down 45 cents from Friday's settlement. Brent North Sea crude for delivery in December, the global oil benchmark, fell 77 cents to US$48.79 in London. China's official purchasing managers index for the manufacturing sector showed activity shrank in October for the third straight month. "The Chinese PMI disappointed only slightly but that's enough to renew the bearish sentiment around the oilmarket," said John Kilduff at Again Capital. 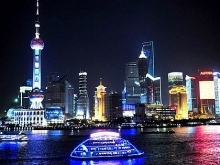 Tim Evans of Citi Futures said there was "no urgency" to the selling on Monday despite the China and Russia news or Iran's moving closer to the lifting of international sanctions, which have hobbled its exports. Russian oil production broke a post-Soviet record in October, climbing to 10.78 million barrels per day, according to Bloomberg News. Although Saudi Arabia produced less last month, at around 10.1 million barrels a day, it remains the world's biggest exporter of crude./.